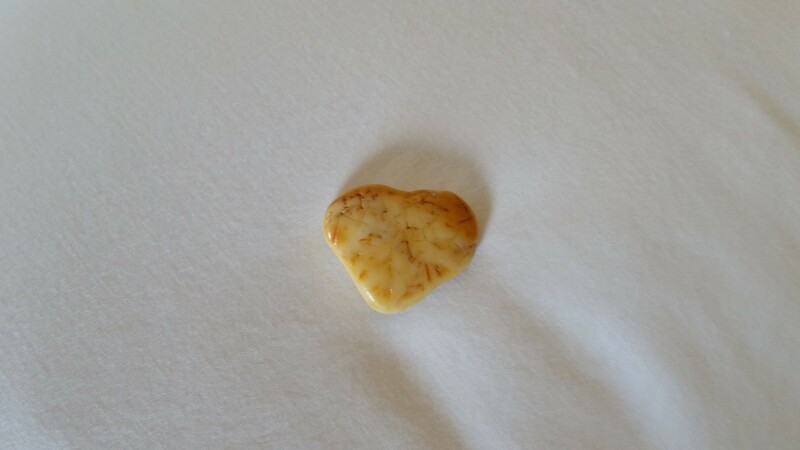 Found while walking along the coast in Florida and writing big dreams in the sand. 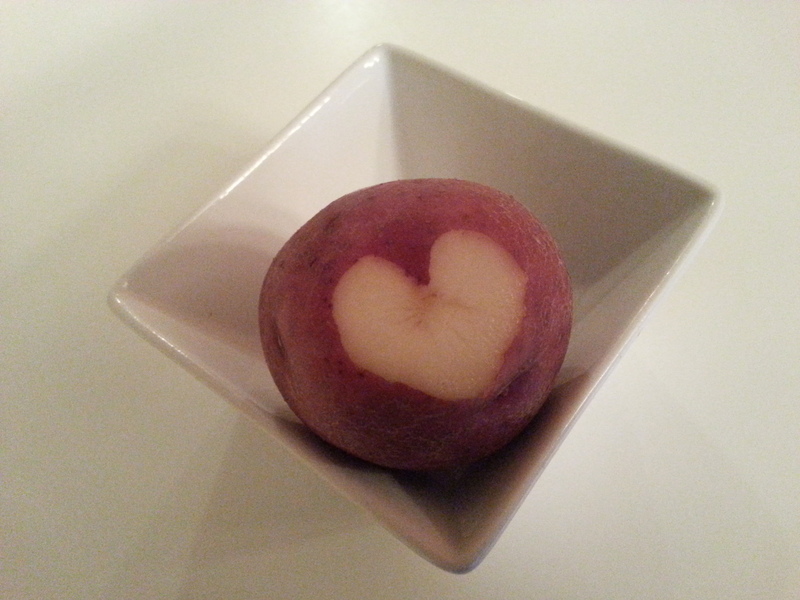 I trimmed the eye off a red potato and voila…love appeared! 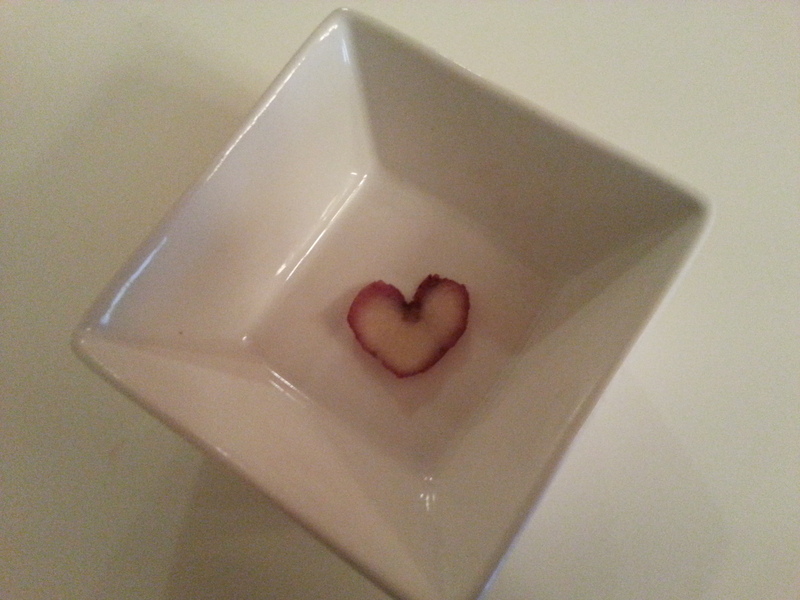 And of course, the trimmed piece of peel was sending out love, too. I got an unexpected gift late the other night when Rebecca, one of my favorite Berlin partners-in-crime (er, let’s make that adventure) forwarded a link to this New York Times story on the favorite streets of various European cities. Scroll down the page to Berlin, and there you’ll see what I was so delighted to find: a long piece by Joshua Hammer on Rüdesheimer Strasse, one of the main streets in our lovely (former) neighborhood surrounding Rüdesheimer Platz. Though this neighborhood is considered to be sleepy and perhaps even boring (gasp!) by some Berliners’ standards, we found it absolutely enchanting and still talk wistfully pretty much every day about the blissful year we spent living there . 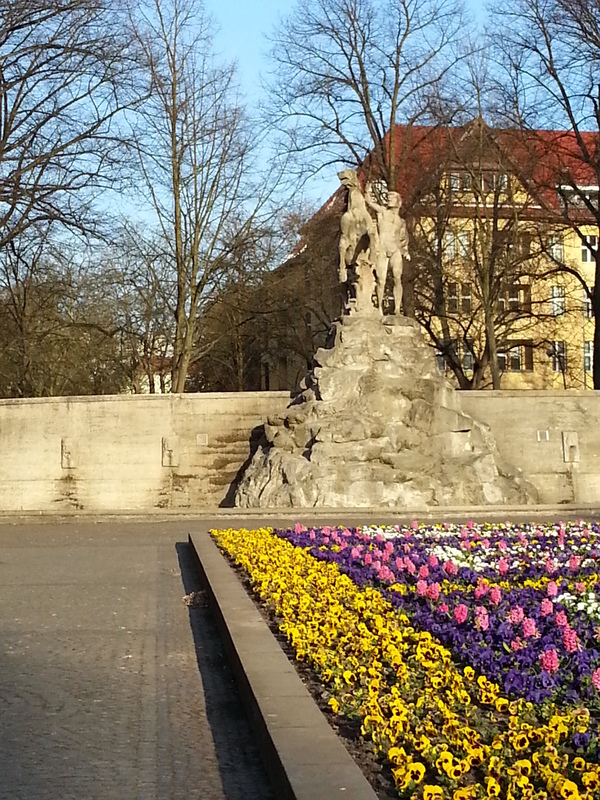 Hammer’s article gives a decent taste of the neighborhood’s charms, but we suggest an actual visit (especially when the wine garden is open) if you want to really understand the true joy of life around Rüdesheimer Platz. And trust me, our own next visit can’t come soon enough.